For the first time in history, British Vogue archive images are now available as art prints. 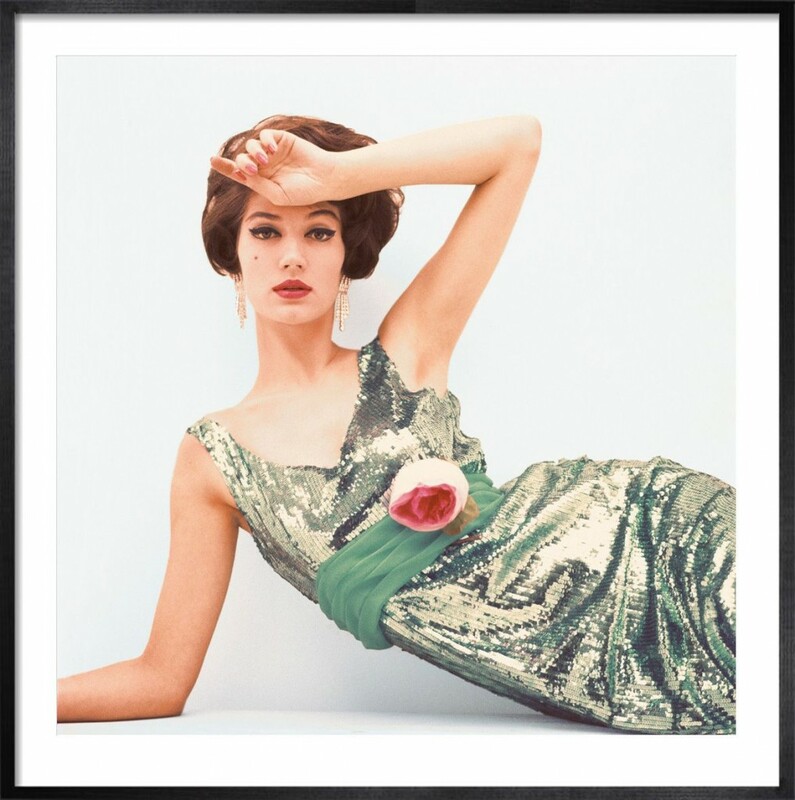 With works dating back to the Forties, Fifties and Sixties, taken by photographers including Cecil Beaton and Henry Clarke, the collection includes 60 images, with additional works to be added at later dates. In collaboration with art and print expert King & McGaw, the images are available in different sizes and with optional handmade mounts and frames. I have completely fallen for the above photograph of Twiggy (Vogue 1967, shot by Cecil Beaton). Have a look around and let me know which one you could see on your walls and which mount and frame you would choose. I am giving away one framed Vogue art print (worth up to £200). Good luck! Leave a comment to be entered into the draw. Draw closes on Friday 28 March 2014, 1pm. All of them are lovely, though. There’s so many beautiful images! Love this so much, Vogue is the master of beautiful stylised imagery. Dec 1954 Clifford Coffin. It’s ethereal. Love. Difficult to choose, but if i have to: January 1956, I love the hound. Black square frame. What a lovely collection of art work. My favorite is July 1961 with a Satin Black Box frame. March 54 and February 57 are dreamy!! What a great give away. I’d go for the Feb 1962 print with all the Minis. Love it. Satin White Box frame. I saw this Give away and thought I would just do a quick comment to enter, but got totally carried away looking at all these amazing prints!! Now (after bribing my two older boys to look after their little brother, so I could look a bit longer) I still can’t decide on one! I would like to have three Vogue prints in a row on the wall on the landing upstairs…. OK! Decided! 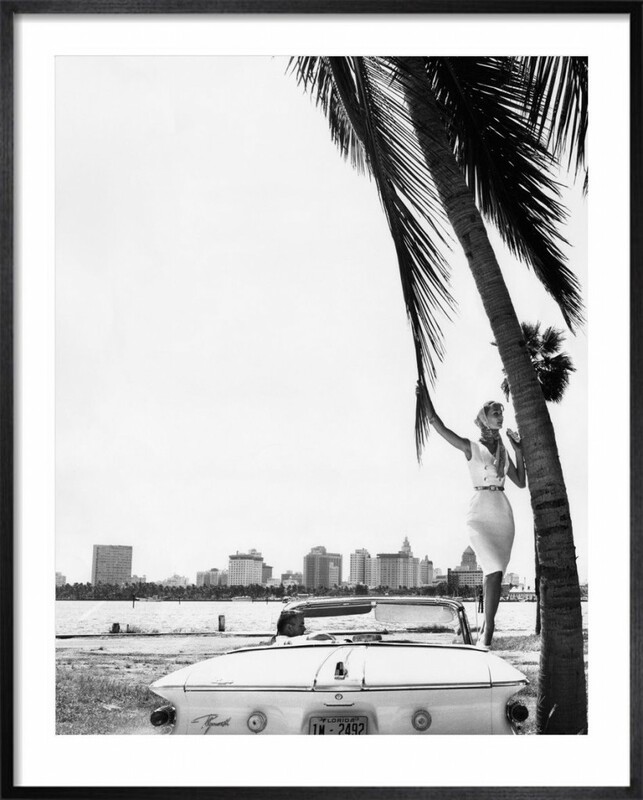 I would go with January 1961 http://www.easyart.com/prints/eugene-vernier/vogue-january-1961-433447#433447-50-42-2 in a black box frame. I got lost in the prints – and found about six that I want! Every single shot is a masterpiece! So hard to decide, but I would go with Vogue January 1961 (satin black square), 50 x 42 cm. It would go above my writing desk – inspiration!!! I think I’d want this one below as it has all lots of things I love- there’s a handsome man in a proper suit- with a hat! a dog! and a lovely old car- and that looks like London in the background. I think keep it simple- with the snow white mount (grey type frame) though black would also look great- they’re all lovely though! The Vogue December 1954 by Clifford Coffin, with the four silhouettes, is absolutely gorgeous.